The words Jews and Judaism are English words derived from the Hebrew words, respectively of "Yehudim" and "Yahadut." Yehudim (Jews) practice Yahadut (Judaism), which refers to the body of Jewish religious thought, customs, symbols, rituals, and laws. In the early 1st millennium BCE, Judaism got its name from "Judah", the land of the Hebrews. We find the term “Judaism” used in the first century CE by Greek-speaking Jews. References include the Second Book of Maccabees 2:21 and 8:1. “Yahadut” or “dat Yahadut” is used infrequently in medieval commentaries, e.g. Ibn Ezra, but it is used extensively in modern Jewish history. Judaism does not have a specific credo that Jews must accept in order to be considered Jewish. Nevertheless, there are a few overarching tenets that most Jews accept in some form. 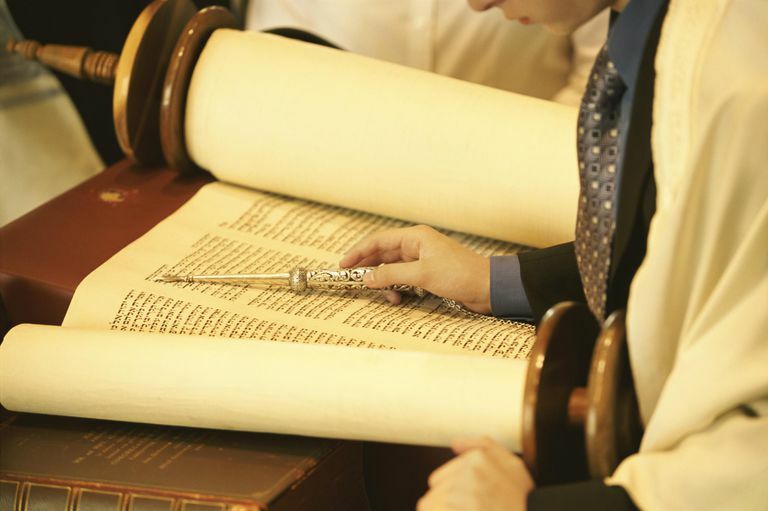 These include a belief in only One God, a belief that humanity was created in the Divine Image, a feeling of connection to the greater Jewish community and a belief in the pivotal importance of the Torah, our most holy text. The term “chosen” is one that has often been misinterpreted as a statement of superiority. However, the Jewish concept of a “chosen people” has nothing to do with Jews being better than anyone else. Rather, it refers to God’s relationship with Abraham and the Israelites, as well as receiving the Torah at Mount Sinai. In both cases, the Jewish people were chosen to share the word of God with others. The various branches of Judaism are sometimes called denominations and they include Orthodox Judaism, Conservative Judaism, Reform Judaism, Reconstructionist Judaism and Humanistic Judaism. In addition to these official branches, there are of individual forms of Judaism (e.g. a person's individual practice) that are not affiliated with an overarching Jewish movement. Learn more about the denominations of Judaism in: Branches of Judaism. Though some might disagree, many Jews believe that Judaism is not a race or nationality but rather a cultural and religious identity. A rabbi is the spiritual leader of a Jewish community. In Hebrew, the word “rabbi” literally means “teacher,” which illustrates how a rabbi is not only a spiritual leader but also an educator, role model, and counselor. A rabbi performs many important functions in the Jewish community, such as officiating at weddings and funerals and leading High Holy Day services on Rosh HaShanah and Yom Kippur. The synagogue is a building that serves as a house of worship for members of a Jewish community. Though the appearance of every synagogue is unique, they usually have certain features in common. For instance, most synagogues have a bimah (raised platform at the front of the sanctuary), an Ark (which contains the congregation’s Torah scrolls) and memorial boards where the names of loved ones who have passed on can be honored and remembered. Jews do not believe that Jesus was the messiah. Rather Judaism views him as an ordinary Jewish man and preacher who lived during the Roman occupation of the Holy Land during the first century C.E. The Romans executed him—and also executed many other nationalistic and religious Jews—for speaking out against Roman authority. Judaism does not have a definitive answer to the question of what happens after we die. The Torah, our most important text, does not discuss the afterlife at all. Instead, it focuses on “Olam Ha Ze,” which means “this world” and reflects the importance of living a meaningful life here and now. Nevertheless, over the centuries possible descriptions of the afterlife have been incorporated into Jewish thought. In Hebrew, the word for “sin” is “chet,” which literally means “missing the mark.” According to Judaism, when someone “sins” they have literally gone astray. Whether they are actively doing something wrong or even not doing something right, the Jewish concept of sin is all about leaving the correct path. There are three kinds of sin in Judaism: sins against God, sins against another person, and sins against yourself.